If you have Netflix, and, most likely, you do, then something is about to happen that you’ll need to know about. I can imagine you wondering, What is it? I love Netflix. Tell me!” Well, you probably won’t like this. In May, Netflix is going to raise their prices. And, people are already pissed. 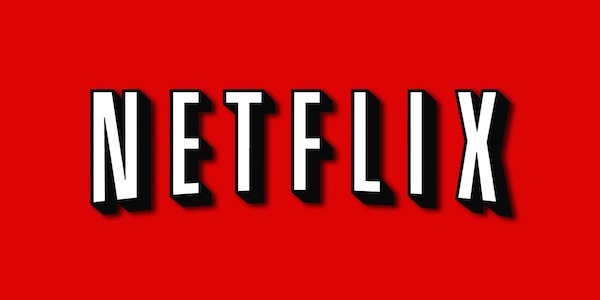 According to Business Insider the rate hike will impact 17 million of Netflix’s standard account holders next month. Netflix began their recent price increases in May 2014, when they upped the price for new subscribers to their standard streaming plan to $8.99 a month. The company then raised prices again, on the same customer base, to $9.99 per month in October of last year. People who had subscribed before those price hikes began, however, were grandfathered in at $7.99 monthly for the two-stream HD quality plan. In May, though, all grandfathered customers will have their monthly subscription raised to $9.99 for the standard HD level service. And, unfortunately, a recent survey by JP Morgan has shown that of the 17 million subscribers that this rate increase will affect, roughly 80 percent aren’t even aware that it’s almost upon them, or that it was happening at all. Estimates from UBS have noted that about 3 to 4 percent of those 17 million subscribers will cancel once they see the bigger charge appear on their billing statements, but the JP Morgan survey reveals that roughly 15 percent of those subscribers are actually planning to cancel their Netflix service because of the rate increase. Netflix has been expanding their hold over the streaming entertainment industry by investing in more and more original TV shows and, now, theatrically released films that also show on the service. Making those kinds of moves can’t be cheap, so, along with trying to cover a general inflation of the costs of running a large corporation, the company is also trying to make sure they can continue to develop their own programming. And, since so many of their shows have become critically acclaimed, it makes sense that they’d be interested in keeping the ball rolling. There’s one big problem I can see with this sudden rate increase: Netflix hasn’t told anyone. Or, at the very least, they haven’t told enough of their subscribers enough times for it to sink in that their Netflix is going up in May. You just can’t do that. Even though the increase for those 17 million households is only a couple of bucks, people do not like feeling that they’ve been tricked or lied to. Netflix said they were grandfathered in, and didn’t give any indication that that would change at some point. Everyone who’s already planning to quit the service will probably be joined by a whole batch of new people once the rate hike goes into effect, simply because they received no prior warning. How much trouble would it have been to send a couple of emails about this and save themselves from angry customers come May? Very easy, I’d say. Well, the increase is happening whether we like it or not. At least now you have a few weeks to decide what to do about it.